You know how important it is to embed quality, security and overall customer experience. Now it is time to deliver that with a new level of speed and agility. EDUCATION: Do your systems pass the grade? Whether building something new or modernising a legacy system, you must ensure your systems are engaging and efficient. We can help you pass the grade. Win more patrons and avoid operational nightmares by ensuring a fast, fluid, secure and seamless gaming experience, even in peak times. Video on demand. Streaming. Hyper-targeted content and advertising. Are you fully leveraging new technologies and methods for engaging today's consumers? Deliver quality quicker by optimising your delivery pipeline, removing bottlenecks, getting faster feedback from customers and iterating quickly. Delight your customers in every digital interaction by optimising system quality and performance to provide a smooth, speedy and seamless user experience. Realise a positive ROI sooner and maximise your investment by focusing your energy on high-value features, reducing waste, and finding and fixing defects early. Built-in quality is a core value of the Scaled Agile Framework (SAFe). Find out how this approach enables Lean-Agile software and systems to be successfully delivered at enterprise scale. The Wellington City Council (WCC) wanted to deliver quality outcomes without breaking the bank. Find out how Planit’s fast and flexible resources helped WCC achieve this goal. The gaming and wagering sector is at the forefront of technological innovation and competition. Innovations such as in-race betting and video streaming of live events are the norm as customers demand delivery of real-time information around the clock. With big games and races comes big crowds. Punters want to place their bets and gain access to results anytime, anywhere, using any device. If your application somehow fails, the event won’t wait for you to recover it. How do you make for a fast, fluid, secure and seamless experience for your customers? Win more patrons and avoid operational nightmares by ensuring a seamless and problem-free gaming experience, even in peak times. Sporting and racing events unfold quickly. Punters expect to be able to quickly place their bets with the confidence that it will go through immediately without issue. Failure to deliver on this can permanently damage your reputation in the eyes of your betting audience. The gaming world never sleeps, and neither can your systems. 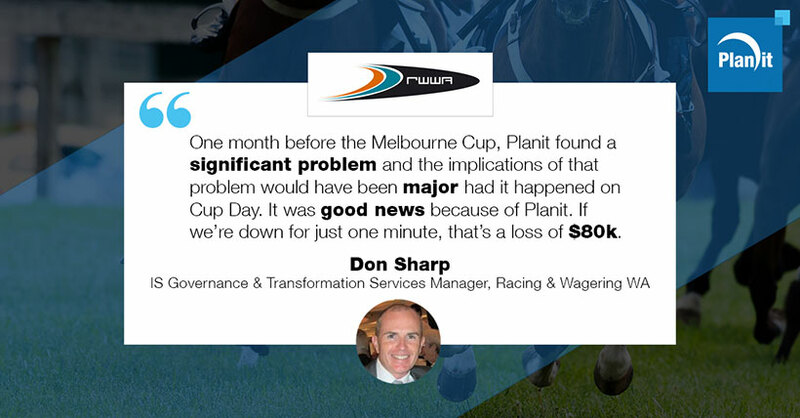 Not only do punters expect to be able to place bets outside of regular hours using their preferred device, but especially during peak betting opportunities like the Melbourne Cup*. Offering new features to your audience is critical in a highly competitive market. Amongst gaming companies, it’s no longer enough to offer a bare-bones service and expect it to satisfy your users. With many already taking on the challenge to offer more, can you risk not doing the same? Possessing extensive experience working with leading gaming and wagering companies, we can help you achieve speed and reliability in your digital products, ensuring they can handle the peaks of game day and support your growing audience. In the gaming and wagering, time is money, and any downtime directly impacts revenue. Our team of resilience engineers can give you the confidence that your applications can handle component failure, as well as a much-needed focus on performance to ensure that your applications perform smoothly, even on your busiest days. Punters demand your applications are easy to use and deliver a seamless user experience, no matter the device they are using or time of day. Our Digital QA team has a large collection of devices backed up with the expertise to provide extensive hands-on testing across a range of browsers, smartphones and tablets to ensure your customers get the experience they demand. We can help you keep your customer data safe and avoid any embarrassing security breaches. Our Security Testing experts can help you to understand your risks and plan to minimise your exposure to these threats. Our in-depth insights will also ensure you are meeting any and all legislative requirements. In the highly competitive gaming market, the ability to deliver new features quickly is critical. Organisations that effectively adopt Agile and DevOps practices benefit from significant speed and efficiency gains to deliver quality applications faster. Our testing services will also ensure that features perform as expected. Yes, I would like to receive information from Planit including our eNewsletter containing the latest insights, events, webinars, job opportunities, specials, competitions as well as company, product and training updates.